Looks great in batiks, brights or neutrals! 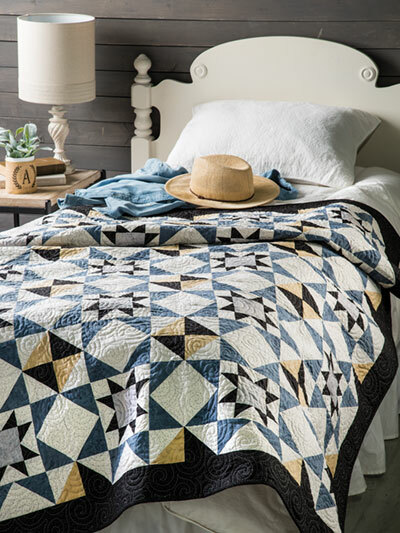 Take five fabrics and a single block pattern and create the perfect quilt for any room. Finished size is 54" x 78". 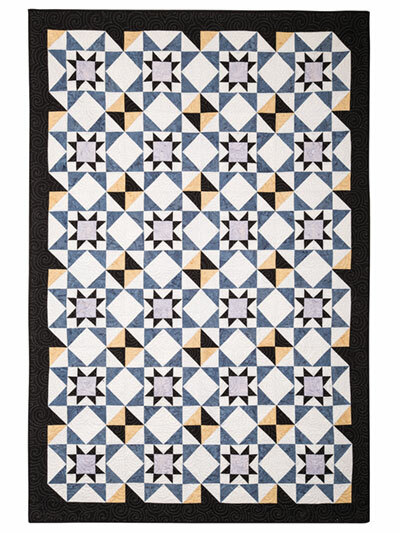 I started to do this quilt but after 1 block "threw it away!! Wish that I could post a picture of the instructions" AWFUL! "an example" Cut 5 (3 7/8 by fabric width) strips Subcutaneous strips into 48 (3 7/8) squares; Cut each square in half on 1 diagonal to make 96 E triangles Also, cutting instructions for 4 3/16" x 7 3/16". My ruler doesn't have those lines! Old fashioned instructions on a patterned copyrighted in 2018!